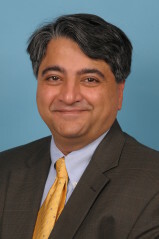 Ankush Tewari is senior director of market planning at LexisNexis Risk Solutions. In this role he is responsible for the strategy and revenue growth of LexisNexis’ credit risk business, which includes the products RiskView and Lead Integrity. These products use behavioral data to help lenders gain deeper insight into fraud and credit risk at all stages of consumer lending. Prior to joining LexisNexis in 2011, Ankush worked in corporate strategy at Dun & Bradstreet and as a senior consultant with GenPact. Ankush holds a MBA from Duke University’s Fuqua School of Business and a B.S. in Management from The Georgia Institute of Technology.